Soyinka Exposed Obasanjo As The Nation’s Biggest Hypocrite. HomeWole SoyinkaSoyinka Exposed Obasanjo As The Nation’s Biggest Hypocrite. Nobel Laureate, Prof. Wole Soyinka, has warned former President Olusegun Obasanjo to keep away from movements struggling to restore Nigeria to the path of sanity. The Nobel Laureate, who stated this in his new book: “Quis Custodiet, Ipos Custodes? : Gani’s unfinished business,” advised the former president to end his hijacking propensity because he is objectively unfit for the role he has assigned to himself. His words: “That I have taken the trouble to address you frontally from time to time in this piece is simply because I know that deep inside there is a soakaway pond of personal insecurity struggling to be drained. Beneath every bully, there is a scared product of insecurity and troubled conscience"
Obasanjo has been in the vanguard of the plot to stop President Muhammadu Buhari’s second term bid, but Soyinka warned Nigerians against allowing those who want to take over a genuine cause for selfish interest. He said: “Obviously, the starting pistol for the 2019 long distance run has been fired. Those with a ready nose for the detection of social collapse are already mustering, inculpating others but exculpating themselves through an assiduous industry of history revision. They are trying to take over genuine rescue motions and control them for their own purpose, in their class interest, even as they line up seasoned cronies guaranteed to carry out their will, their will only, and the will of none other. 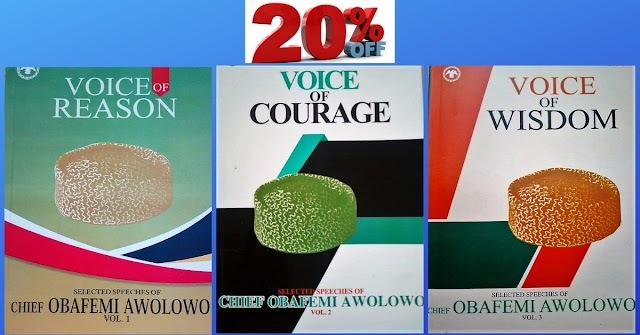 And so they lay the blame for social malfunctioning on everyone but themselves, blithely glossing over the criminalities and catastrophes generated under their own watch"
Soyinka, had on June 22, threatened to expose Obasanjo as the nation’s biggest hypocrite. He made the threat at a gala dinner and award ceremony put together by the International Press Institute (IPI) in Abuja. He took on the former president after a participant asked him why he has remained a constant critic of Sani Abacha, long after the dictator’s death. Soyinka, who reminisced on the Obasanjo administration in the 148 book, chronicling several undemocratic actions by the government he led, further advised the ex-president that it is time he took the back seat. 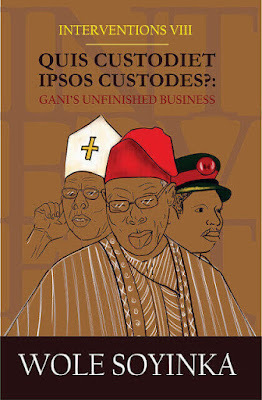 Insisting that Obasanjo, whose contributions to democracy and culture of law and order are, predictably of a remarkable and unique quality that disregarded the constitution, the Nobel Laureate dared the former president to confront him on any podium to present the facts of his stewardship to Nigerians. His words: “Your contributions to democracy and the culture of law and order are, predictably of a remarkable and unique quality – they consist largely of the kidnapping of legislators, the sacking of elected Houses of Assembly, wasteful convocation of delegates for ‘constitutional amendment,’ and the subversion of whatever exists as constitution in the quest for the elongation of personal tenure. “During the 2004 elections, you did not hesitate to attempt the co-option of the Independent National Electoral Commission (INEC) and forcefully attempt to override its functionaries who insisted on a strict observance of the rules. You cannot have forgotten the notorious case of Edo elections – I was in the thick of it. You fought tooth and nail to install your in-law candidate, bellowing illegal orders across telephone lines. You met defiance. “The Returning Officer fled back to Abuja headquarters to escape the heat of your intemperate and criminal pressure, taking with him the authentic results. I followed the action from my observation post – Edo state was on our radar, one of three states in which we had deployed our most seasoned and fearless monitors. Your goons did succeed in brutalizing some of our field team, yes, but you proved incapable of penetrating the structured core where some of your hysterical outbursts are still held in safe recordings. Also recalling the political debacle in Oyo and Anambra states under Obasanjo’s watch, which led to the impeachment of then Governor Rashidi Ladoja and kidnapping of Governor Chris Ngige, Soyinka further wrote: “Presiding over this bedlam, openly without even the slightest concern both for the probity and dignity of office, is the same man who now wishes to lead a national rescue mission. “Be assured however that an increasing number of discerning minds who owe you nothing, not even fear, who expect nothing from you, some of whom have even written off what you owe them have fully taken your measure. His words: “I now challenge you to search your soul, very deeply, and swear to this nation that you never awarded oil blocks in return for sexual gratification. I do not make accusations lightly and I despise snide insinuations. I believe you know me well enough. And I am no prude, I am not a hypocrite of sexual desire, nor am I interested in the seamy side of power. “Take your time, think deeply and remember that each day brings you closer and closer to your Maker and the Day of Judgement – going by your own professions. That applies to all of us, but you are the one who trot out that eschatology like a badge of human accreditation. If I denounce you as a degenerate in need of help, remember that I do not require fiction. Verifiable truth is solemnly at my disposal. Grab a copy of this book at Sunshine Bookseller.